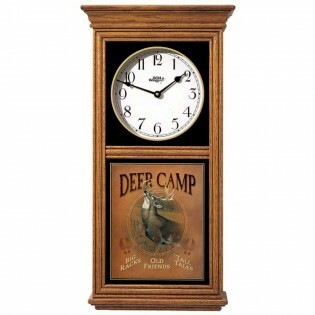 One of our most popular items, this custom designed Deer Camp Oak Regulator Clock is modeled after those originally used for advertising and features full-color whitetail deer artwork by artist Michael Sieve. 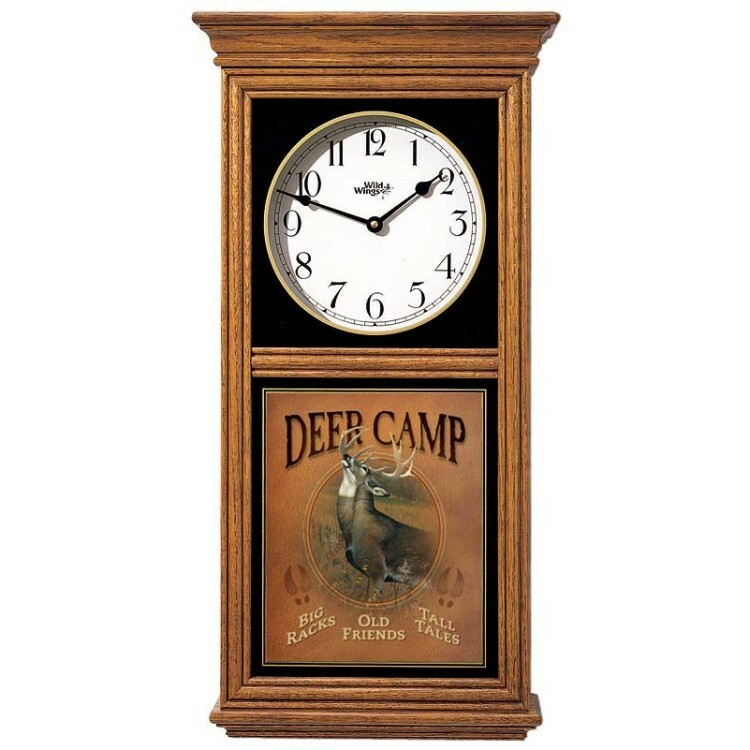 One of our most popular items, this custom designed Deer Camp Oak Regulator Clock is modeled after those originally used for advertising and features full-color whitetail deer artwork by artist Michael Sieve. Hand-crafted with traditional medium oak, hand-rubbed finish. Precision quartz movement. Uses one AA battery (not included). One-year warranty.